Robin Linker, CHCRA, CHCA, CHCAS, CPC-I, CPC, COC (CPC-H), CPC-P, MCS-P, CHC is a leading expert in health care coding, auditing, education and documentation nationwide. 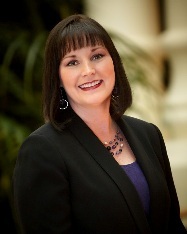 She is the Executive Director of Operations for the Association of Health Care Auditors and Educators and CEO of Robin Linker & Associates, a nationally known healthcare consulting firm in Colorado. With over 30 years in healthcare, she provides consulting, auditing, research and education in most areas of practice management, compliance and correct coding for teaching institutions and other large facilities to small group or single physician practices. She is certified in both physician and facility coding through the American Academy of Professional Coders (AAPC) and is dually certified in medical compliance, including the Health Care Compliance Association. Robin is called upon frequently to lecture and author publications and articles to various organizations on documentation, coding compliance and healthcare regulatory issues. She is a former member of the Provider Outreach and Education Advisory Group (POE-AG) for TrailBlazers and CMS and is a former Director of Education and Technical Development for the American Academy of Professional Coders and has contributed in the technical and developing process to many of the national certification and specialty exams. She provides assistance to physicians, attorneys and facilities with education, auditing, consulting, IRO services, and support with fraud and abuse cases. As an author and curriculum developer, Robin has been an advocate in healthcare contributing to improvements to benefit all regardless of financial status or size. She is the co-author and presenter of the American Medical Associations ICD-10-CM Training Workshops and annual CPT Updates Workshops. She is co-author of college curriculum, Understanding Medical Coding: A Comprehensive Guide, currently in it's 4th edition. She continues to provide healthcare software support in various areas, assisting with development, design and improvements. She enjoys positive participation in education, with a touch of humor in her seminars and workshops. Thank you for visiting our website. We look forward to working with you in the future should you encounter any healthcare consulting, education or auditing needs.